In this blog post, I review the Hawaiian theme brunch at Pavilion 75, WelcomHotel Dwarka's stylish round-the-clock restaurant. The brunch was curated by the amazing Michelin Mother contestant, Ekta Kapur, on July 2, 2017. For the uninitiated, Pavilion 75 brings to you cuisines and gourmet dishes from all over the world, served with the trademark warmth of Indian hospitality. 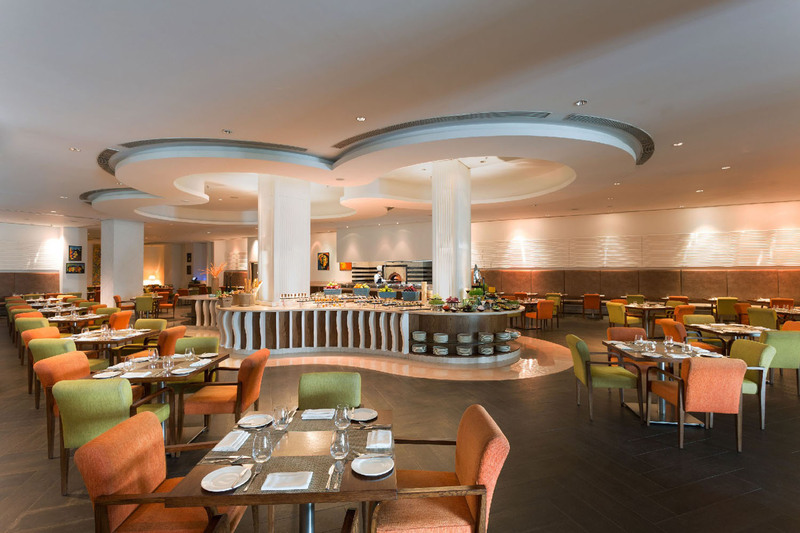 The restaurant is known to offer a delectable buffet spread, plus an extensive à la carte menu. Start your day with a delicious, energizing breakfast featuring local and international favorites, on to an elaborate lunch, and end the evening on a high note with a delightful satiating dinner. The restaurant holds a themed brunch every Sunday. For this season, in particular, the theme is Hawaiian! As I walked inside the restaurant located in the lobby of WelcomHotel, I couldn't help but notice the beautiful Hawaiian themed decorations like the palapa umbrellas, colorful surfboards, white sand, etc., not to forget the energetic live music, which instantly set the mood for the lavish brunch. I was welcomed with an affable smile by Executive Chef Akshay Malhotra, who further introduced me to Michelin Mother contestant Ekta Kapur. Together, both of them had rolled out an exclusive Hawaiian infused spread for patrons. FYI Ekta is also a mother, chef, and a self-confessed food enthusiast. In fact, very few in the community know that she is married to Kunal Kapur, a celebrated Indian chef, restaurateur, and media personality. As Ekta and Chef Akshay started to cook behind a live station, they revealed the A to Z of desserts, specially curated for the event. 26 different types of desserts gave a sugar rush like no other! Even though the spread was quite elaborate with an array of salads, soups, entrées, and desserts to choose from, there were few dishes that stood out from the rest. "It was amazing to carry forward our collaboration with Ekta after the very successful Michelin Mother contest, and have her get Hawaii to India through her lip smacking dishes for our themed Summer Brunch! As a hotel, we always strive to do something different and quirky for our guests, we look forward to making these Sunday Brunches a tradition." The event started at 12:20 PM and ended at around 4 PM. 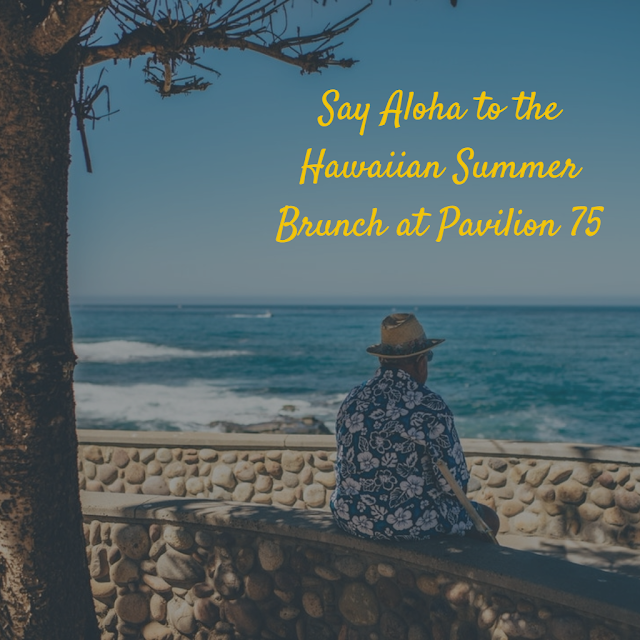 Finally, I'd urge all of you to visit the Pavilion 75 this summer. 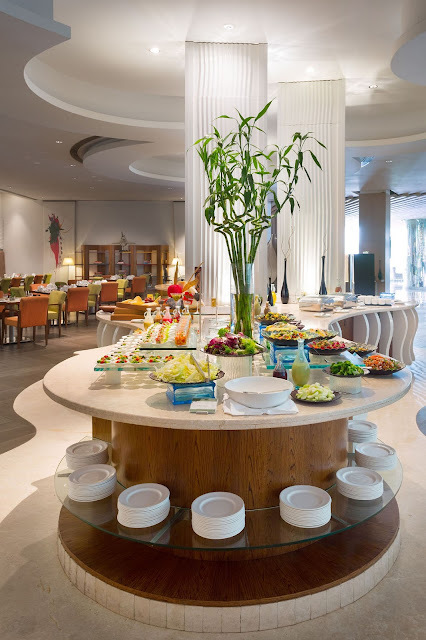 Come, say Aloha to the Hawaiian Summer Brunch with WelcomHotel Dwarka.